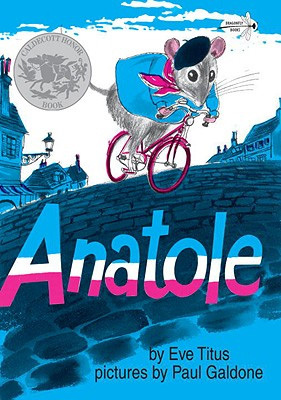 Anatole is not a book for learning French and is written in English. However, it is a nice story to read when learning about France, as it is set in and around Paris. It is aimed at children aged 5 - 9 years. Very sweet story line with beautiful illustrations. So far I've read it in episodes at the end of my year 2 French lessons. They children love it, especially if you put on the French accent!